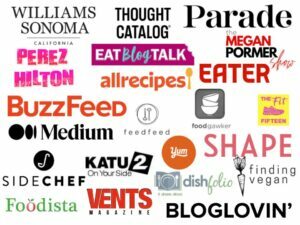 Let’s talk salmon! 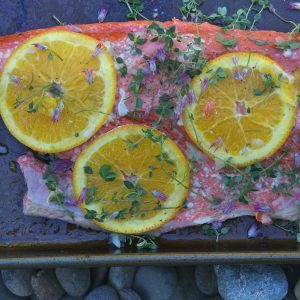 Salmon is most people’s go-to fish…it is healthy, delicious, and extremely versatile. 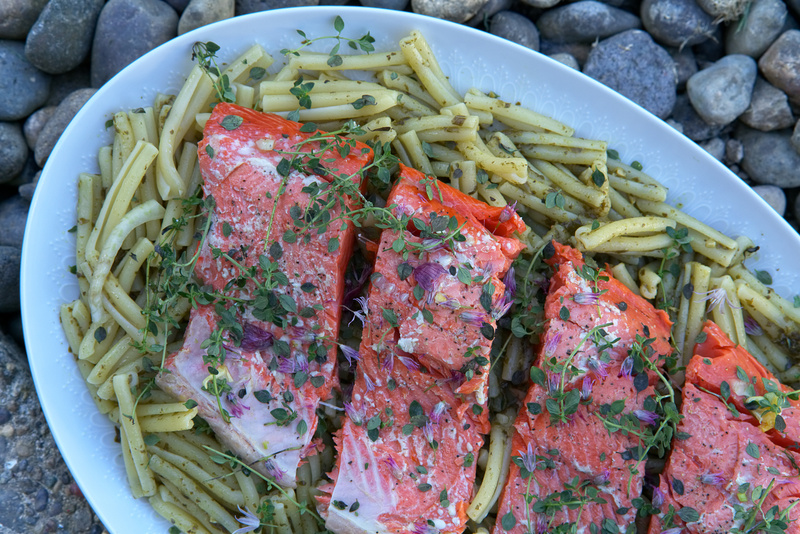 But there is one type of salmon that I am just over the moon for…have you heard of Copper River salmon? When I first heard about Copper River salmon I was sure it was all hype. That it couldn’t be that much better than regular wild, line caught salmon, right? Turns out it’s so flavorful, you don’t need any fancy sauces because that interesting, nutty flavor is so tasty. There’s a 300 mile stretch of the most perfect glacial water in Alaska with rivers, streams, and hundreds of rapids where the first salmon of the season return every year in May. The Copper River is a long trip for the salmon, so these salmon have a darker red color, and richer flavor that is buttery from it’s high oil content, yet light, and really something special. 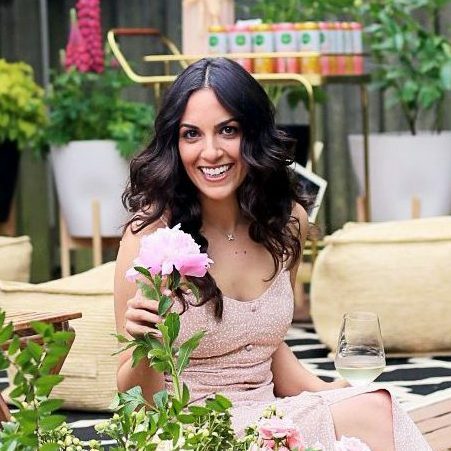 Most of the year, I rarely choose to cook with salmon because of the high demand – fish in high demand tend to get overfished, leaving the ocean life out of balance. The oceans aren’t a limitless supply of food, and we need to be mindful about how and what we choose to eat. Luckily for us, Copper River wild salmon are protected, and there are great effort and laws in place to make sure the salmon population remains strong in the Copper River. To be honest, all this salmon needs is some salt and pepper…it is that delicious. 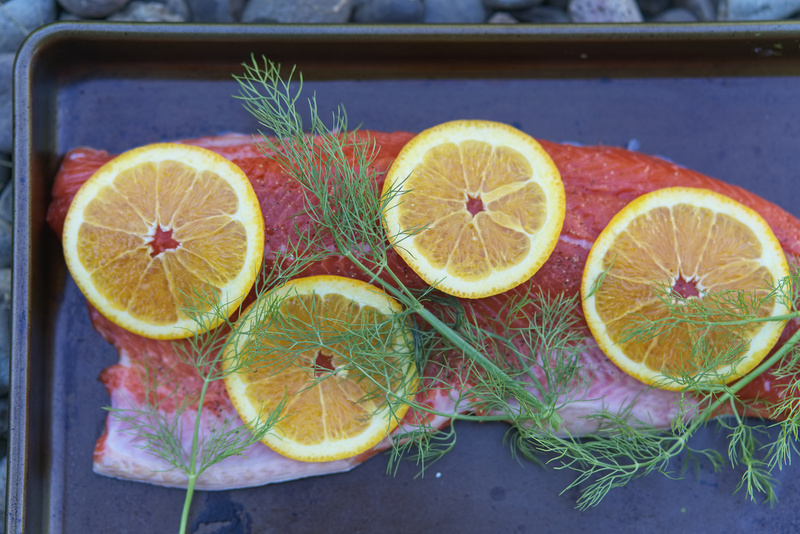 But I’ve taken it one step further with this very special Orange Thyme Salmon. And if you can find some chive flowers, they’ll kick it up another notch. Not to mention it will impress any dinner guest…Serve with a simple pesto pasta. If you had to choose between the nutty-flavored sockeye or the tender and fatty king, which would it be? Preheat your oven to 350°F and bring a pot of water to boil for your pasta. In the meantime, cut your orange into ¼ inch slices. Season your salmon with salt and pepper. Top with your orange slices. 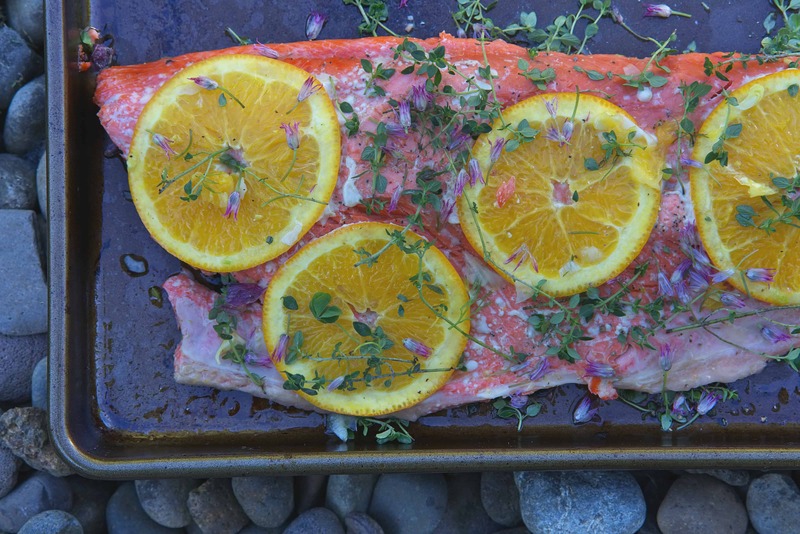 Flip your salmon onto your baking sheet so it is skin side up with the orange slices under the salmon. Trust me...this way all that delicious fat on the skin side runs into your salmon. Set aside until the oven is preheated. Cook until desired doneness or until the salmon easily flakes and the white albumin starts to form on the top. Because the copper river sockeye so dark in color, the color does not change as much as it does with regular salmon. While your salmon is cooking, cook your pasta per the instructions on the box. Put the basil, garlic, and pine nuts and 1/4 tsp pepper in the food processor. With the food processor on, slowly add the olive oil. Finely grate the parmesan into a medium sized bowl. The parmesan is salty so we don't add salt until the end. Add the contents of the food processor to the parmesan and mix well. Season with salt and pepper to taste. Drain your pasta and mix well with the pesto. Add to your serving platter. Top with the cooked salmon. Serve immediately.